The third HCFT intelligent hardware supply chain assembly enterprise registration period has now ended. In the electronic components category, resistance capacity product excellence prize draws more than hundred companies for enterprise registration. According to reliable information, shenzhen sharp electronics co., LTD has registered to compete for "resistance capacity product business excellence award. Sharp and electronic (shenzhen) co., LTD is located in the beautiful environment of baoan district xixiang huafeng street schroder industrial area (near sentosa high-grade residential area), is the capacitor production equipment is advanced in the pearl river delta manufacturing enterprises. Geographical position is superior, the company not only rely on the subway and bus station, the traffic is very convenient, and Banks, shopping malls, entertainment venues and other ancillary facilities of life are all complete. Company mainly produces ceramic capacitor and capacitor braid products (automatic component inserter use), include high frequency porcelain capacitor (CC1), Gao Jie porcelain capacitor (CT1), high voltage ceramic capacitor (CC81 ~ CT81), ultrahigh pressure ceramic capacitor (CT82), suppress electromagnetic interference with communication safety ceramic capacitor (CT7Y1 / X1, Y2) and the pressure sensitive resistor (MY), etc., the monthly production and sales of various types of capacitors 100 million above. 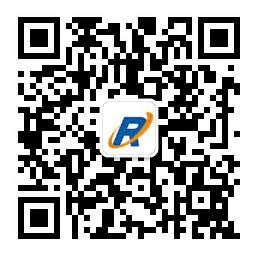 Next：Warm congratulations Shenzhen Rich Electronic Co., Ltd to take on-line!